An astonishing discovery about crows and ravens suggests that they have some traits pretty similar to humans. Scientists have just made a remarkable discovery about ravens and crows that indicates that we’re not so different from them after all. 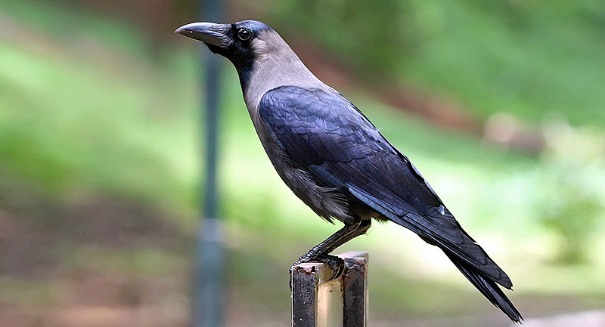 The study, published by researchers at Sweden’s Lund University in the journal Science, suggests that corvids, a bird family that includes ravens and crows, are capable of planning ahead, something that has been seen only in humans and apes. They then gave the ravens other random objects which did not open the box, so that they would know which tool to focus on when presented with a choice. Then they took the puzzle box away, and provided the tools. Fifteen minutes later, the puzzle box was provided. In about 86 percent of cases, the raven chose the right tool before the puzzle box came out, except for one female raven who figured out how to get in the box without any tool.